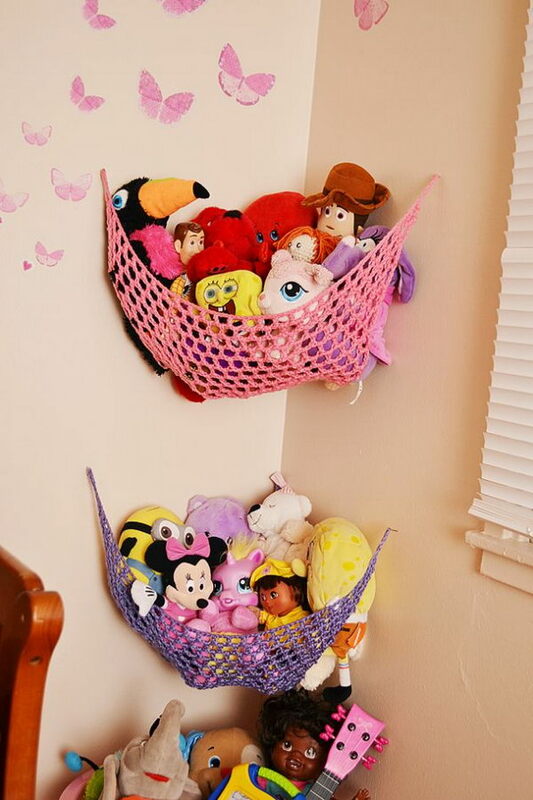 A colorful toy net can make use of some of that corner space that would normally go unused. It’s easy to hang up and can hold a lot of the stuffed animals. It’s perfect for the tweens and teens who don’t want their rooms to be cluttered with such childish things but who aren’t quite ready to get rid of their old friends. Since you can purchase these in a variety of styles and colors, it’s easy to personalize them for any room. Sometimes, you just need some easy kid’s toy storage, and you don’t want to spend a lot of money on fancy toy organizer ideas. Plastic storage drawers come in a variety of sizes and configurations and are definitely reasonably priced. 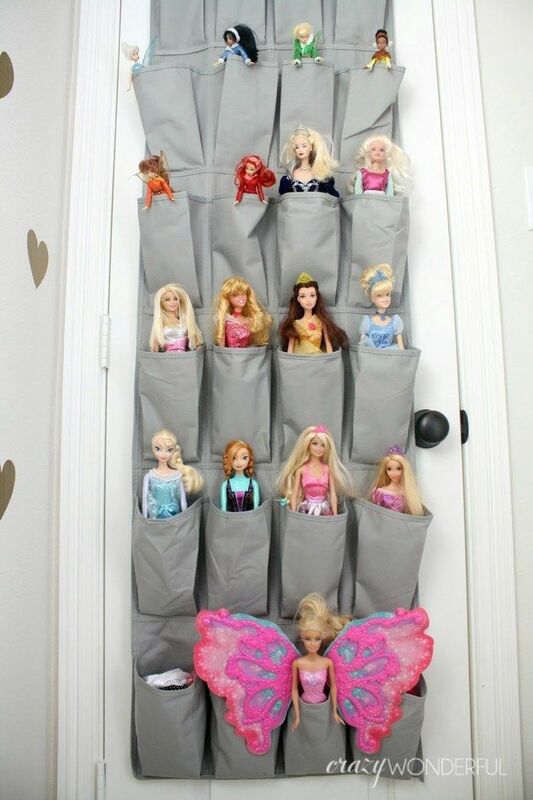 If you’re going to use this idea for a toy organizer, think about what you need to store before you make your purchase. As you can see here, some have smaller drawers, which may not be large enough to store your items, while large boxes might be too big and have a lot of wasted space. Note also that items that are too heavy will warp the drawers, making them difficult to use. A little nook for sitting like the one pictured here is a great addition to any child’s room, but you don’t want to waste the space underneath. Choose a bench that has little cube areas for storage. 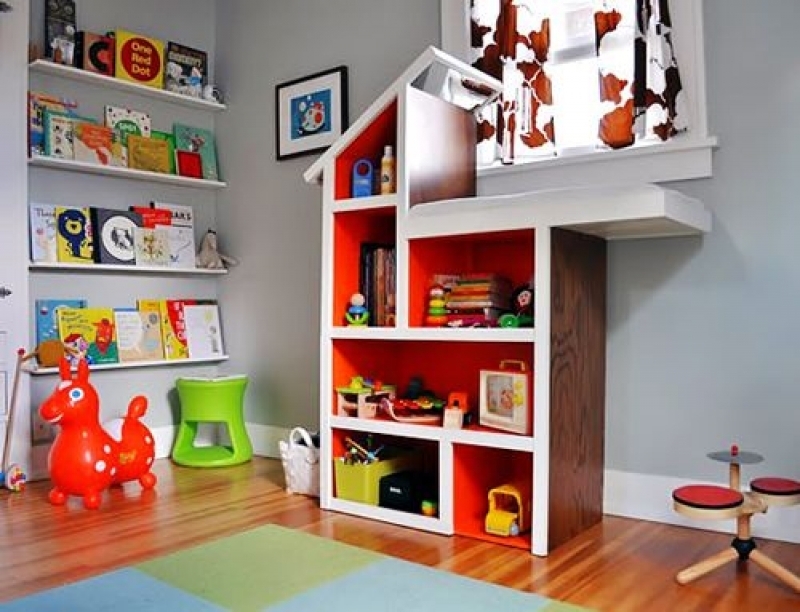 You’ll then be able to buy smaller toy boxes for storage that complements your home design while containing the clutter. When you fill them up with light toys like stuffed animals or doll clothes, even the youngest children will be able to easily open and close the drawers to help put things away. However, you have to make sure to match the box shape with the openings. The ones in this picture aren’t the same size as the traditional cube shaped drawers. Toy boxes are a popular idea for kid’s toy storage with good reason – there’s nothing easier than telling a child to clean up and having him simply be able to put all of his toys into a single box. However, this box is just a bit more fun because it’s designed to look like a LEGO toy. 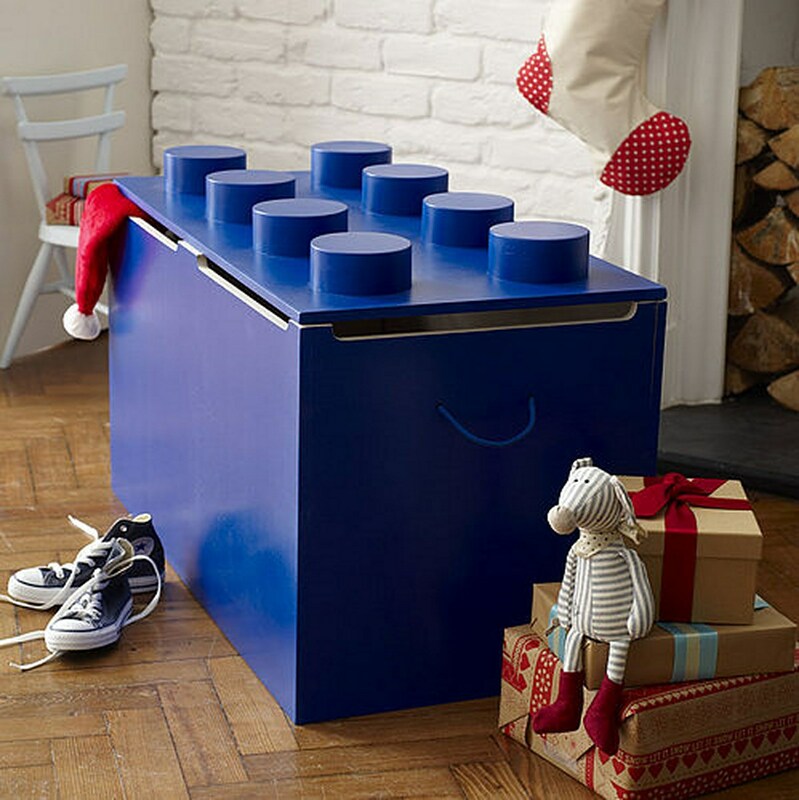 Best of all, the lid to this toy chest is a bit safer than some others. There’s a small space around most of the edges which makes it much safer for little fingers that might get pinched when the wooden lid slams down. Sometimes, you get so focused on keeping everything neat and tidy inside that you forget about toy storage ideas for outside. The best toy organizer ideas for the outside toys have enough space for storage while allowing the children to easily use the container. 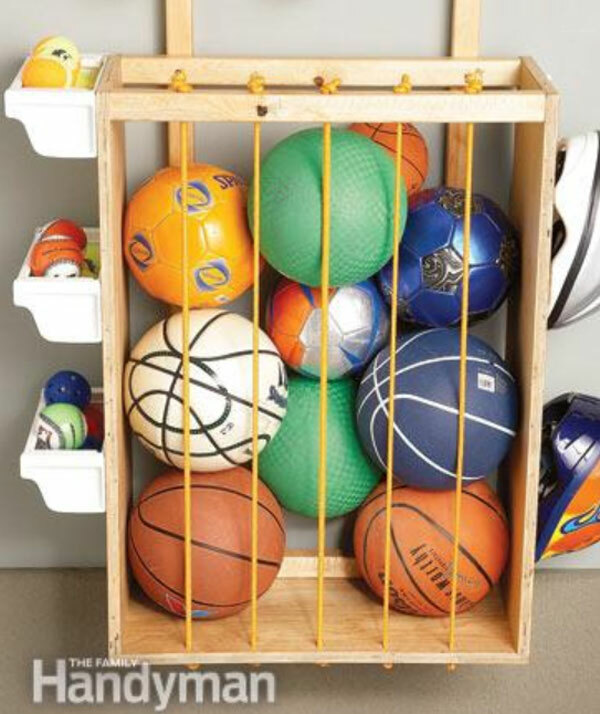 In this box, the stretchy ropes along the sides hold the balls in, but allow kids to take out whichever ball they want without digging through all the others. When it comes time to clean up, they can easily toss them in from the top. It’s also nice because it makes use of the side space as storage for smaller balls and bike helmets. With some minor modifications, an old, unused dollhouse becomes the perfect place for kid’s toy storage. Use a dollhouse that your child has outgrown or one that you pick up at a garage sale or flea market. By painting it a solid color and possibly adding new “rooms” by rearranging the wood, you’ll have a great new shelf for toy or book storage. This family has created an additional cute modification by incorporating a comfortable bed for their cat to sit in the sun. Sometimes, the best way to get your child invested in toy clean-up is to have cute bins that are appealing. 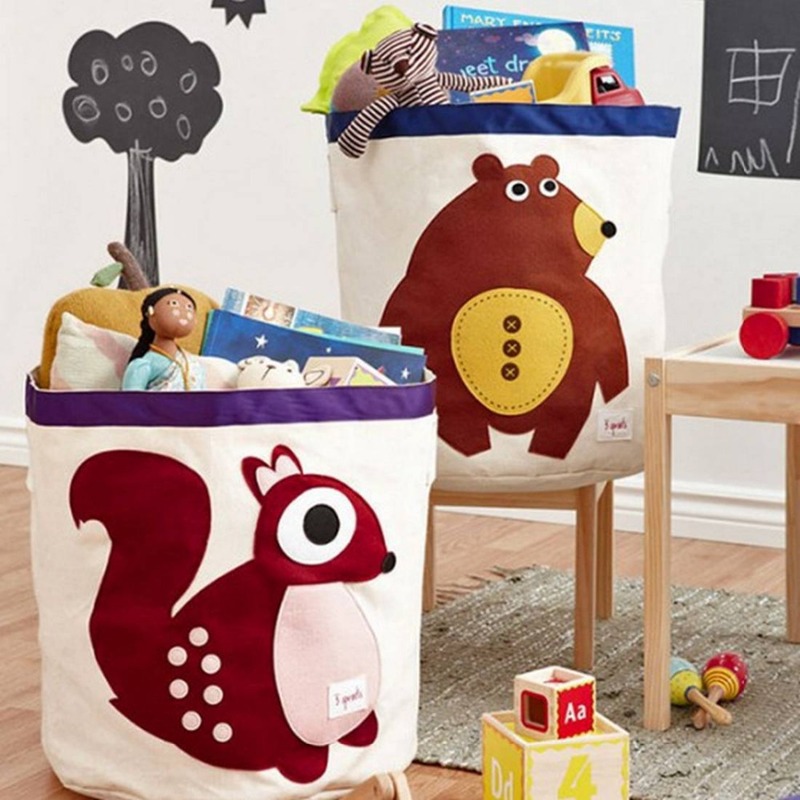 With these adorable toy storage boxes, kids will happily put their toys away, especially if you tell them that the squirrel or bear is hungry for toys. These animals aren’t the only options, so consider choosing bins that feature your child’s favorites, and purchase separate bins for different children or different types of toys. If you’ve got a little girl who loves playing with dolls, you know how easy it is for the Barbies to take over the house. A simple hanging shoe holder is the ideal solution. Each section is the perfect size for holding a single doll and each one is easily visible. When you get her in the habit of putting her Barbies back in their places when she’s finished playing, you’ll never again have to deal with the problem of her not being able to find the exact doll she wants to play with at that moment. 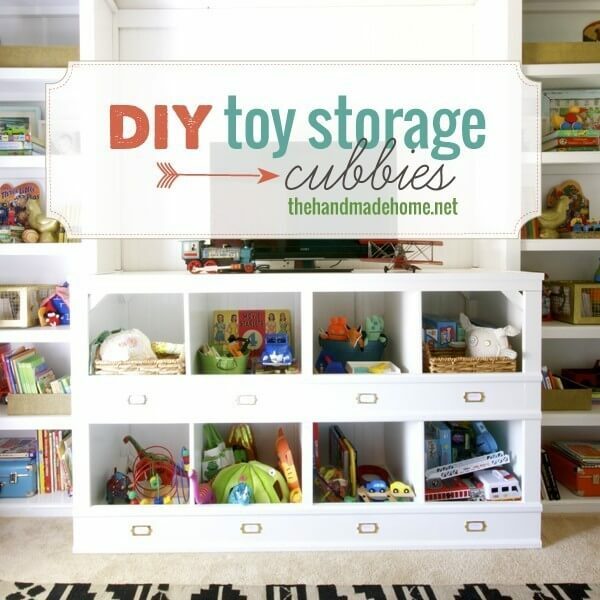 This is a fantastic storage idea with cube-shaped shelves that can store a lot of different toys. 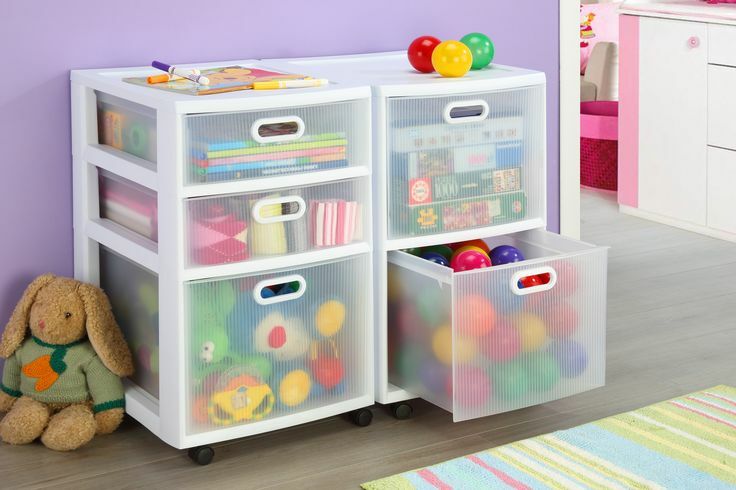 This particular white version will fit in with most home décor, which is great if you’re looking for some toy organizer ideas for the living room. Chalkboard labels on the shelves pictured are ideal because you can easily change them if you want to start using the bin for a different type of toy.